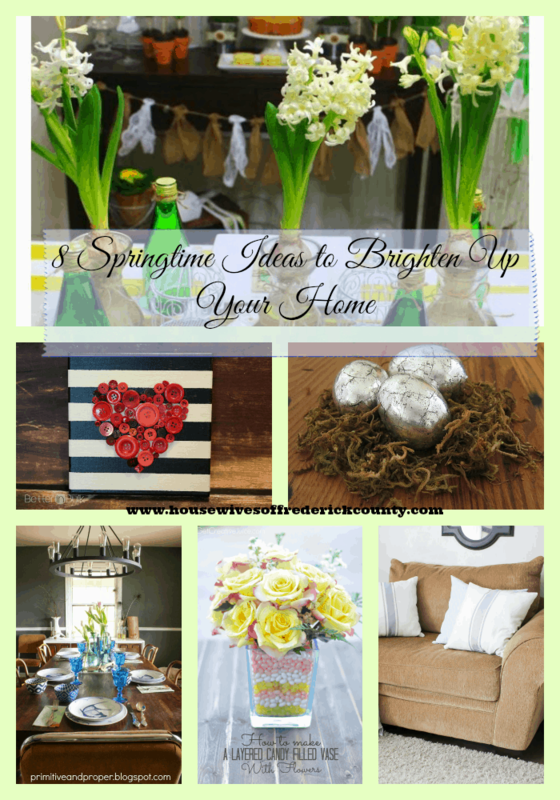 8 Springtime Ideas to Brighten Up Your Home! There’s just something about Spring that seems to motivate everyone to start fresh! It’s that time of year when you can FINALLY open your windows again to hear the birds chirping and the sounds of new life. It’s also that time of year when many of us like to purge the “tired” home décor and replace it, or update it with something bright and cheery! 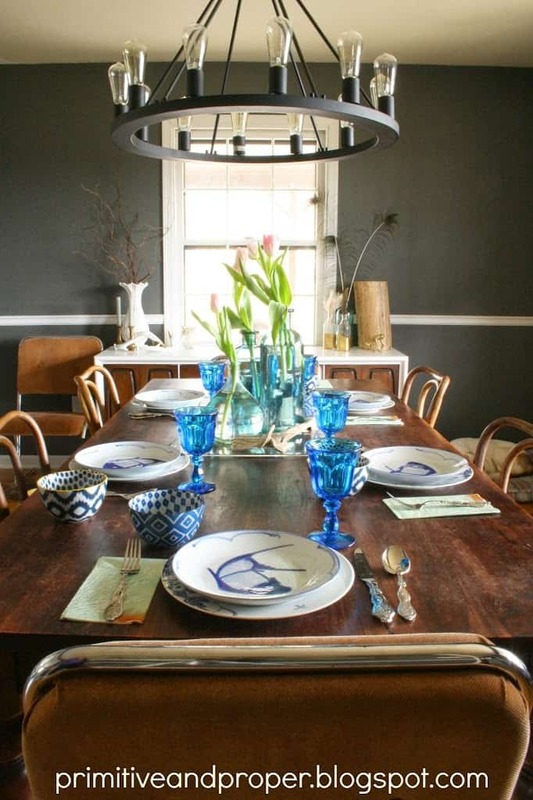 I scoured online for some springtime ideas to brighten up your home. Obviously, each person has their own taste. But, out of everything I came across, the following 8 ideas REALLY jumped out at me! They so put me in the mood for livening up my home! 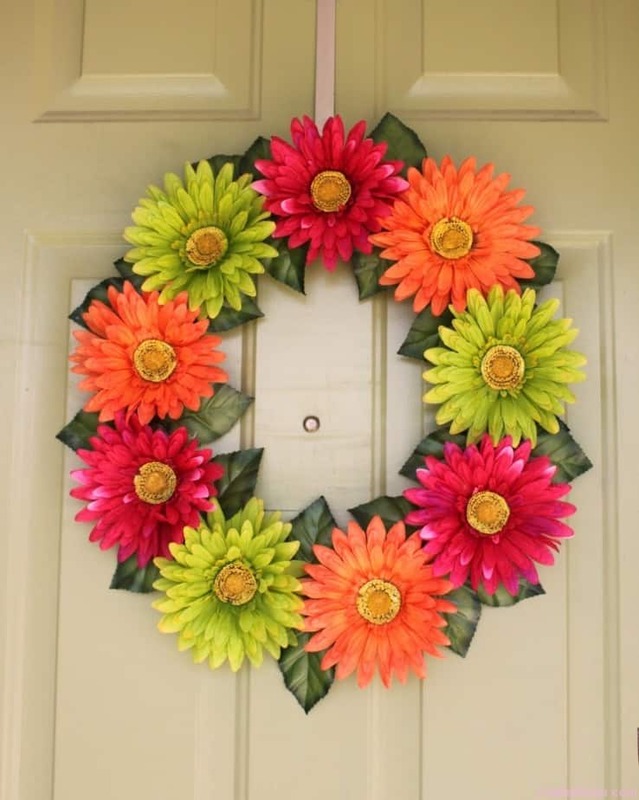 This Gerber Daisy Wreath I found on Crafter Mom. You’ll be pleasantly surprised how easy it is to put together, and I just love how colorful and welcoming it is! 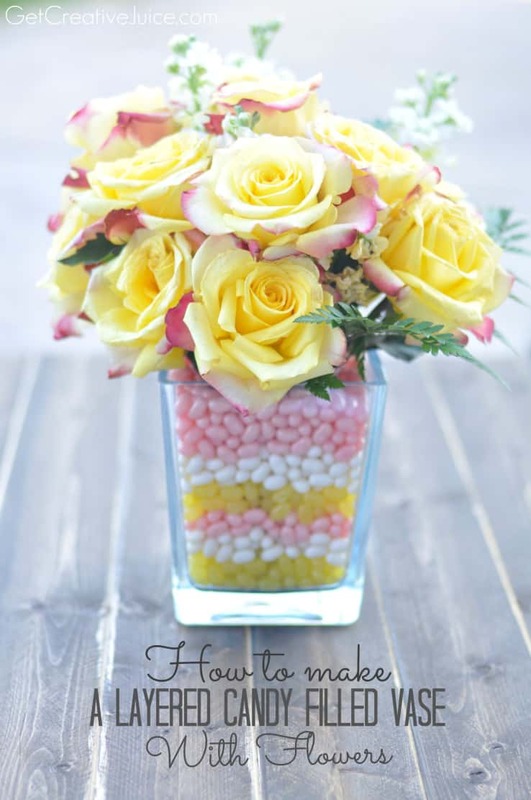 I LOVE this Layered Candy Filled Vase! 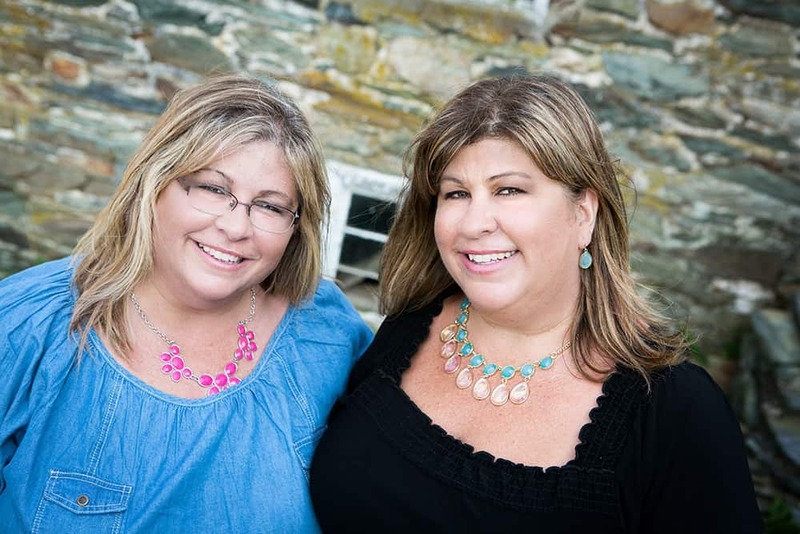 So easy, it won’t cost you a ton of money – and so Springy! What a great gift idea too!! I found this one on Creative Juice! Decorating with eggs isn’t just for Easter! Spring is the time year when we find hidden birds’ nests with their growing families inside! 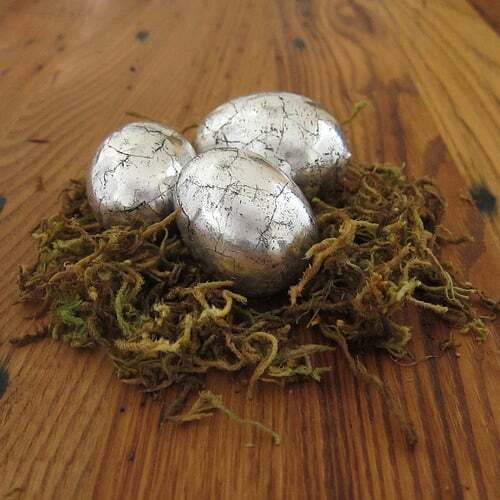 I absolutely adore these Antiqued Silver Eggs by Just Crafty Enough! Nature with the perfect touch of class! How gorgeous is this Nautical Spring Tablescape by Primitive & Proper! Simple, clean and classic. What a perfect table setting for that special occasion (Mother’s Day?)! 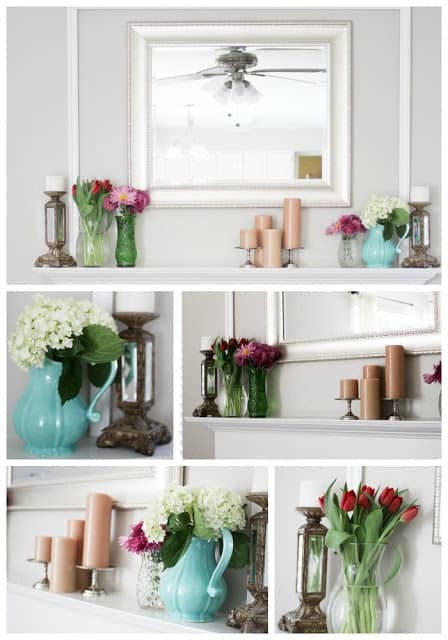 Here is an idea that can be home-made, from the heart AND displayed in the home! Better in Bulk has the tutorial for you to make this DIY Button Heart Canvas – what a PERFECT project (and relatively easy too!) for that special someone, or just to reflect the love in your home! I Love You More Than Carrots put together this Amazing Mantel Make-Over! I absolutely love the crisp, clean and alive “feel” to this look! I don’t know about you, but my eye is always drawn to throw pillows in a home. And, nowadays, it’s “in” to get really creative with them! Hawthorne & Main created these DIY Grain Sack Pillows! So simple, easy and a great addition to any room! This. I just can’t. This is just the cutest, cheeriest, set-up for a party I’ve ever seen! 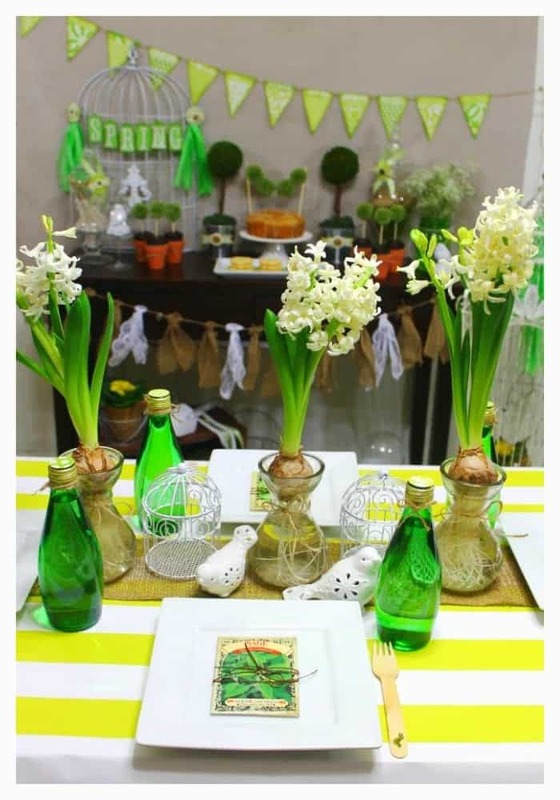 Cupcake Wishes & Birthday Dreams created this English Garden Inspired Spring Party décor! Such a great way to celebrate an occasion for either adults or children! So, happy Spring! We’re having a big yard sale this weekend and cannot WAIT to get rid of old “stuff” so we can simplify and freshen up this humble home we call our own! What do you do to welcome your home into Spring? Absolutely adorable and “refreshing! !” You made some great picks; thank you for sharing with all of us!!! Of course! Spring is such a fun season! 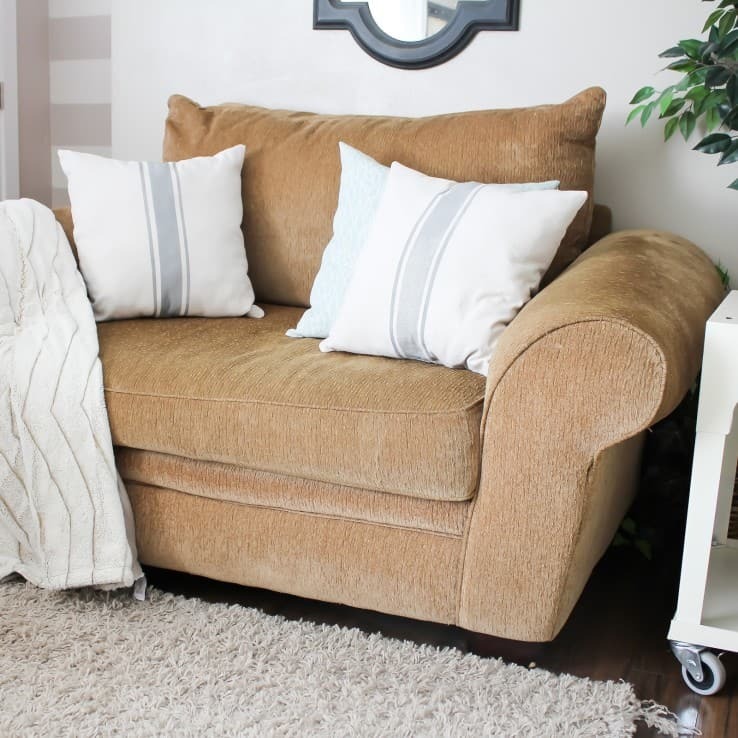 Thank you so much for including my grain sack pillows! What a great roundup! Just as a quick update, they have held up so well, even with a crazy 2 year old that jump and throws them daily! Thanks girls! You are so welcome – and thank you for your creativity! Pillows that can hold up to a 2 year old are hard to come by!! Thanks Shonee! !